288 p., 15,5 x 21,0 cm. 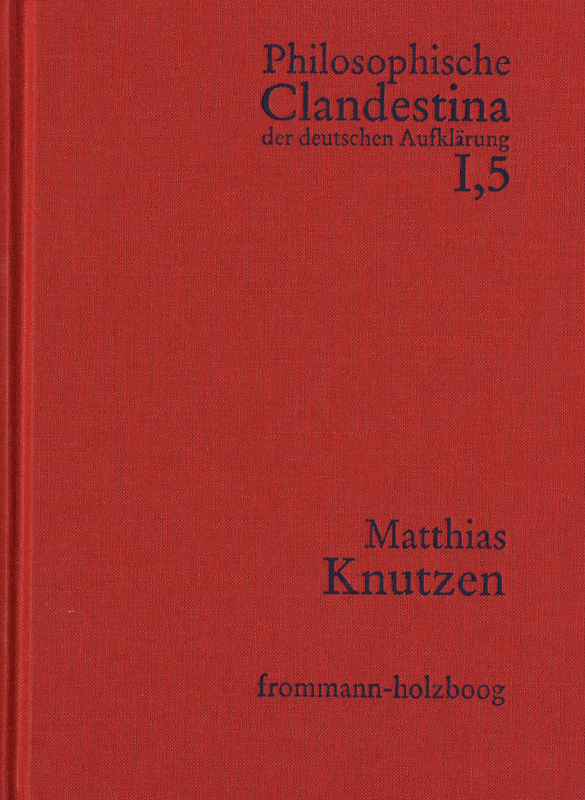 Matthias Knutzen (1646 – after 1674) is the first atheist known by name in the history of European philosophy. This volume contains a new edition of his works written at the beginning of the 1670s (with a contemporary German and French translation) as well as a comprehensive documentation of his works compiled by his adversary Musaeus. Johann Musaeus: Ableinung der ausgesprengten abscheulichen Verleumbdung (1675).